President Director of Astra Honda Yusuke Hori said, spacy is the first global product . Formerly these products was widely touted as Dio. "We have a new spacy manufactured in Indonesia and China, he said at the launch. spacy will be sold in Japan, Europe, China, and Southeast Asian countries like Thailand and Vietnam. 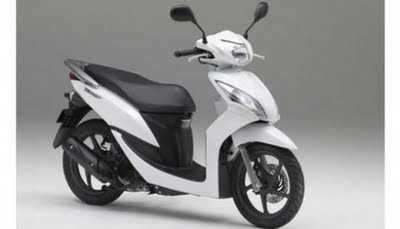 Engine 110 cc, 4 stroke, OHC-powered 8.54 PS at 8000 rpm and torque of 8.03 Nm at 6,000 rpm. Honda claims, the consumption of this machine is 1 liter per 41 kilometers.